As a new patient at Ardelean Family Dentistry, you are sure to have some questions. No need to worry — we have the answers for you. In fact, they may be on this page. If they aren’t, we will be happy to hear your questions and get the answers that you need as quickly as possible. Check these questions, and see if yours is one we have a ready answer for. Q: What services does Ardelean Family Dentistry offer? Q: How do I straighten my teeth without braces? Ardelean Family Dentistry offers a full range of adult and child general dentistry services. Regardless of your age, Dr. Ardelean can help you on your way to a healthy mouth and a bright smile. We offer cosmetic services such as teeth whitening, veneers, and tooth bonding. Restorative services are also available. You can get dental implants, dentures, crowns, bridges, fillings, and root canals done all under the same roof with Ardelean Family Dentistry. We do treat children with pediatric dentistry services. Dr. Ardelean is a mother and as such loves helping the youngest of our patients develop the kind of dental habits that will keep their teeth healthy for the rest of their lives. This also helps our patients avoid any anxiety about seeing the dentist, because of the rapport that Dr. Ardelean is able to develop with them while they are young. Ardelean Family Dentistry accepts all dental insurance. Also, in an effort to make sure that everyone in the community can have access to quality dental care, Dr. Ardelean has in-house financing available, as well as payment plans for patients who do not have dental insurance. We also accept specialty financing like CareCredit. The choice for our patients who want to straighten their teeth without unsightly braces is our Invisalign alignment system. 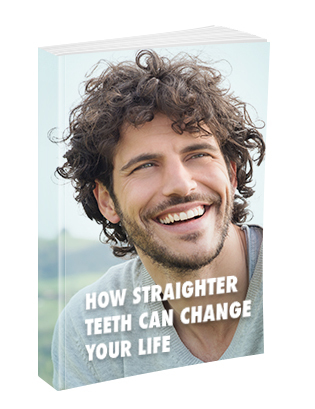 This treatment will allow you to straighten your teeth while going about your normal life. Ask Dr. Ardelean about Invisalign today. We are sure that we did not answer all of your questions, but we hope we answered some of the big ones. Dr. Ardelean is ready to help you and your family with your dental health needs. Call our office today at 586-465-4505 to schedule your appointment. If you still have questions, leave us a message using our online form, and a member of our staff will be in touch shortly.